Every serious samurai sword collector will want to own this edged masterpiece featuring a hand-forged carbon steel blade with a heavy blood groove and sharp edge. The tsuba is cast of zinc alloy with a unique dragon design and an aged, oxidized finish for an antique look and feel. Ray skin and black cord wrappings encase the hardwood handle for a strong but elegant grip. Finally, a brass menuki ornament adds just the right amount of flash to this sword. A hand-lacquered scabbard houses the 26-1/2" blade. I received this sword from my daughter as a Christmas gift...I must say that she made an excellent purchase! The craftmenship of this sword is well above the price. The tuba is detailed, the handle is tight, the blade is excellent. ..thick and sharp ...Beautiful and very well made.... I would hesitate to get this sword! One of the best swords I've purchased in a long time. I just received this sword today, and I am very pleased with it. Everything about it is sound and secure. 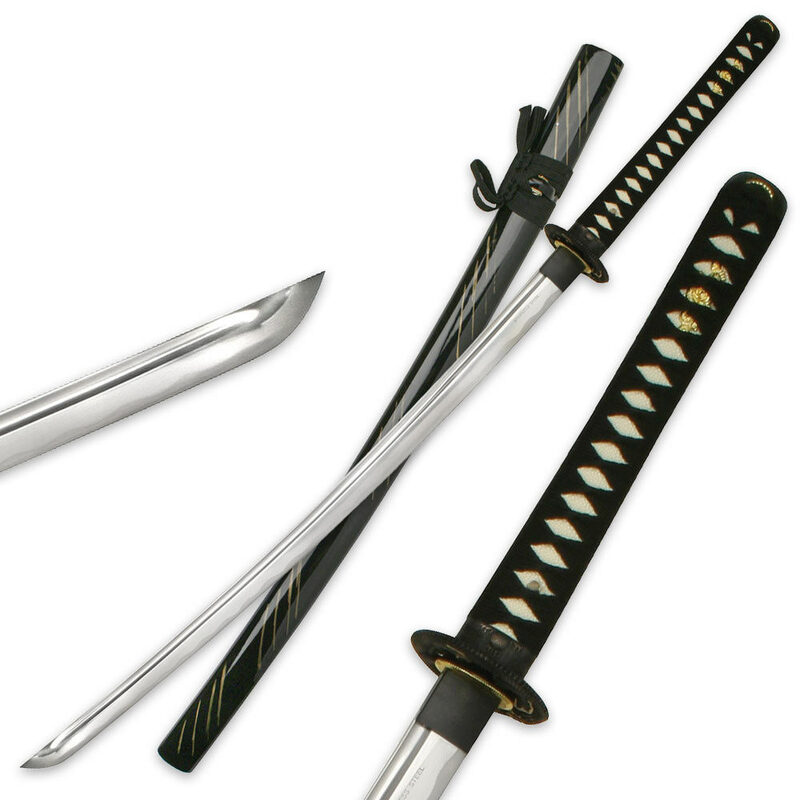 No loose fittings, no scratches on the scabbard, and the blade is flawless.